Play Squares Online with Friends – Free Skill Board Games! 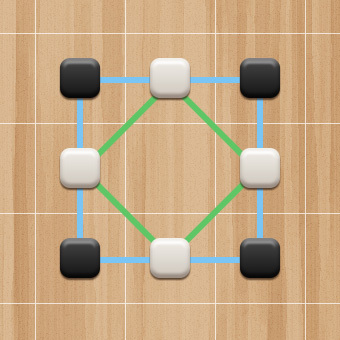 Outperform your friends in this 2-player online board game (also known as Hiroba Do and Four Square) by wisely placing your pieces to form squares. The bigger squares you form, the higher score you get! Remember: the squares may be of any size and tipped at any angle. Plan your next move thoroughly as you play Squares with friends online with no download and no required login!